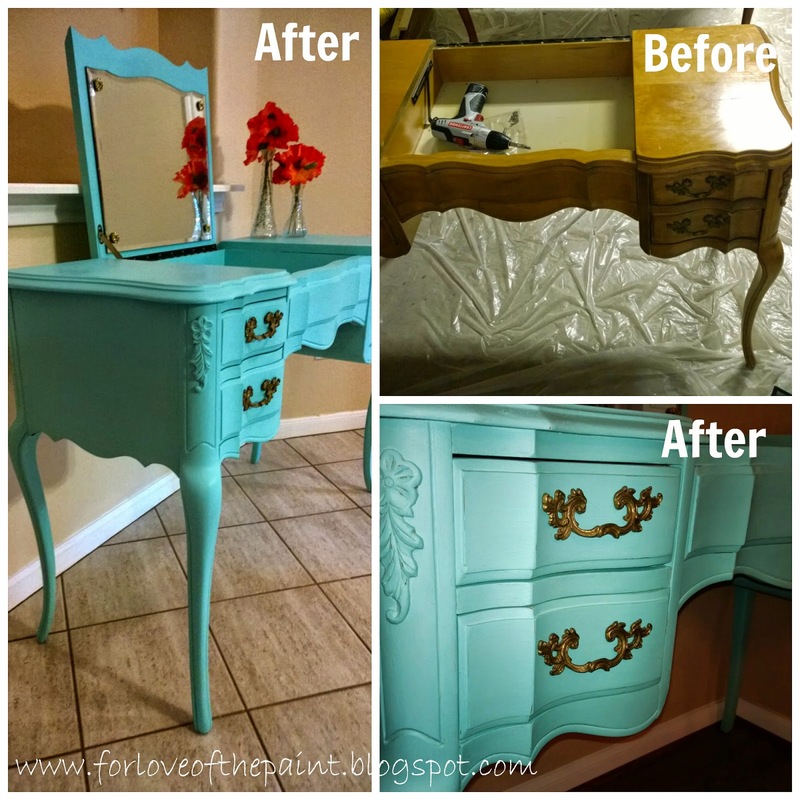 This stunning vanity was refinished in blend of 1 part Annie Sloan Florence Chalk Paint to 4 parts Pure White. 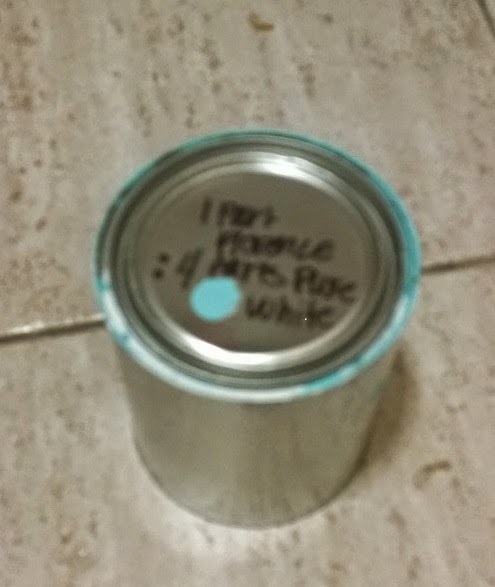 A great tip for custom colors is to get empty paint tins from Home Depot to blend your color in, write the recipe on the lid with a Sharpie and dab the top! Curious about my inspiration for this piece? 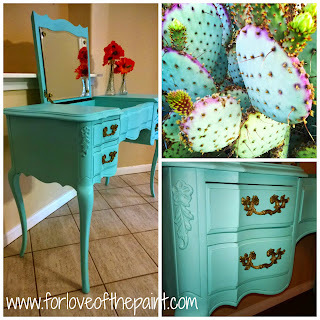 I absolutely adore the light blue and teal colors in the sky, and in.. prickly pear cactus! So beautiful!! What inspires you? Leave me a comment with your favorite plant, and if I can find a local inspiration, I'll do my best to capture it in a furniture piece!